Mobo cost is a major consideration here. As is # of PCIE slots. Your GPU's can mine in any PCIE slot (x1, x4, x16, etc). Most mobo M.2 slots are also compatible to GPU mine with, but are more finicky. Pick a CPU that is compatible with the mobo you've selected from above. Intel is preferred here from both price-to-performance ratio and power consumption/heat. This is easy. Grab minimum 4GB of cheap RAM. Going with 2 x 2GB or 8GB won't hurt. If building a rig with multiple Vega cards and/or more than 8 GPU's, get 8GB RAM. Another fairly easy decision here. A solid state drive (SSD) is preferred, and you are more than fine with 120GB capacity. For 3 to 4 cards or less on Windows, you can get by with a 60GB SSD. If building a rig with multiple Vega cards, get at least 250GB capacity. 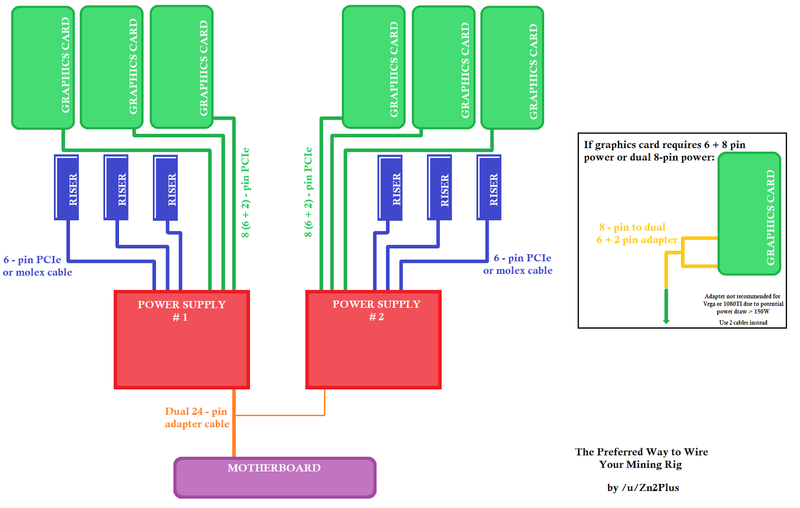 General rule of thumb when predicting total power supply needed is to take your GPU power consumptions per whattomine.com then add 100-150W to that number for all other components (CPU, fans, etc). So 6 x 750ti is about 500W, 6 x 480's is about 1000W, 6 x 1080ti is about 1300W. Since your PSU will be running ideally 24/7, employ the 80% rule - don't run your PSU at more than roughly 80% of its max capacity. Efficiency here is key as well - get a PSU rated Gold or better (Gold/Platinum/Titanium). 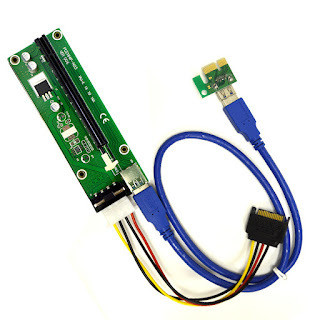 Modular PSU's are preferred, as well as ones with as many VGA ports as possible. EVGA G2's are often considered the mining standard. Full PSU Recommendations Buyer's Guide here. Above PSU's are but a few from a long list of good PSU's. Do yourself a favor and check out my complete list of PSU recommendations. 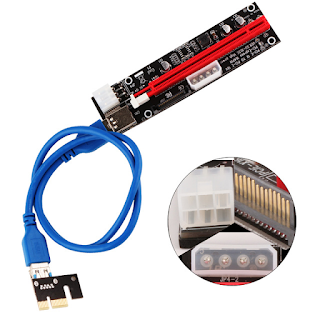 You can utilize multiple PSU's with an adapter like this (recommended) or hardware like Add2PSU or make your own connector. Link to much more information on cabling, wiring setup diagram, maximum wattage, etc. Lots to consider here. Windows 10 Pro, EthOS, SimpleMining OS, Linux/Ubuntu. The meat of mining. And the most expensive part, of course. This decision is entirely based on the user and the preferred coins to mine. Current popular cards are the AMD 480, 580 and Vega, and the Nvidia 10-series (1060, 1070, 1070ti, 1080, 1080ti). All 3rd party manufacturers (ASUS, EVGA, MSI, etc.) produce roughly the same hashrates, so your main consideration here is typically cost. Heat dissipation is worth considering for many rigs - more fans on the card means better heat dissipation, and quieter rigs. A smaller card form factor (like a 1070 mini) can be placed into smaller rigs but has worse heat dissipation. Considering card blower style - aftermarket cards typically run quieter and cooler than "reference" cards, but are also typically larger. Carefully note how many power connectors are required for the card you choose. More power connectors are generally not preferred and lead to cable headaches - opt for something with a single 8-pin connection over 8-pin + 6-pin or even 2 x 8-pin power requirements when possible. Cards go in and out of stock all the time, so it is important to shop around different vendors and keep your eyes peeled for deals! Rigs with more than 2-3 cards nearly always must have powered risers, one per card. Don't use SATA risers. Throw away the SATA adapter cables that all risers come with!! Note: Using a single 16x ribbon cable and the rest as 1x risers often helps with stability. The choice is yours. A typical computer case even for smaller rigs is not recommended due to poor air flow. A 4U server case or open air rig is preferred especially for larger builds. If purchasing a case, ensure the case and your motherboard have compatible form factors (ATX/mini-ATX/CEB, etc). When looking for open air frames, consider building your own. Turns the computer on/off/resets. 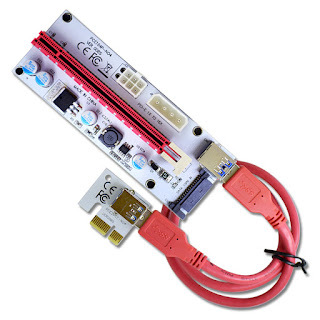 A computer case typically comes with this, but if you are building an open air rig you'll need something like this or this. Standoffs aren't required by any means, but they protect your motherboard from damage and improve heat dissipation - Here. The choice is entirely yours. A direct ethernet connection is preferred, but not always possible. A cheap USB dongle like this one is sufficient. 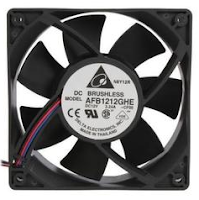 Loud but mighty - case fans push the heat away from your GPU's. Open air rigs often don't need them, but case builds usually do. Fans come in various sizes and strengths. Choose the right size (80mm, 120mm, etc) as appropriate. 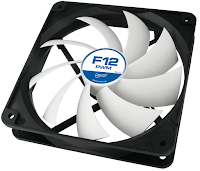 The Arctic F12 is recommended as it's not too loud, but plenty strong. 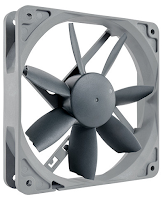 Noctua fans are good middle of the road, between Arctics and Deltas. The Delta 23 is recommended for builds where sound isn't an issue - it is loud but very powerful. Bottom of the Nice-But-Not-Required build list is a way to remotely power cycle your rig. The Wemo Insight is preferred because it can function with IFTTT support and monitors watt usage. Alternatively, the Etekcity Smart Plugs do not work with IFTTT but are much cheaper. A Kill-a-Watt is useful for monitoring wattage use, but doesn't have remote power cycling capabilities. Note: Smart plugs are typically rated for no more than 1200-1500W total power.